Bringing Up Father was a comic strip created by George McManus that ran from January 12, 1913 to May 28, 2000. Most readers, however, called it Jiggs and Maggie, after its two main characters. 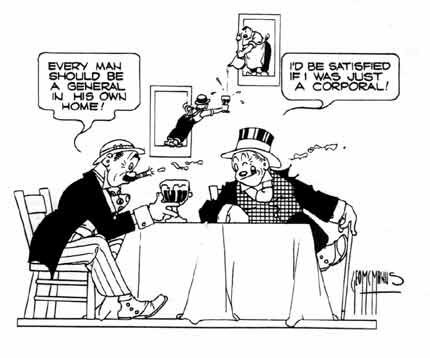 The strip was about an Irishman named Jiggs living in the United States who comes into wealth but still wants to keep his old pals, eat corned beef and cabbage, and hang out at the tavern, much to the consternation of his wife, Maggie, a social climber. 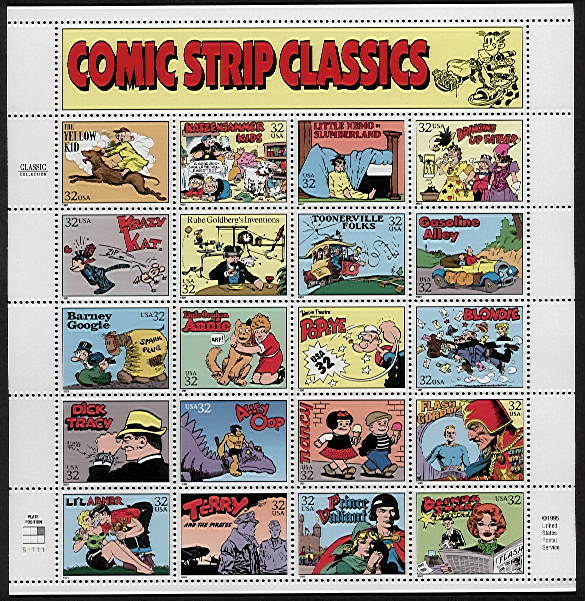 McManus's sense of design and smooth lines made the strip stand out on the comics page and were influential on many other artists. McManus was inspired by The Rising Generation, a musical comedy by William Gill that he had seen as a boy in the Grand Opera House in St. Louis, Missouri, in the late 19th Century, where his father was manager. One of McManus's friends, restaurateur James Moore, believed he was the inspiration for the character Dinty Moore, owner of Jiggs' favorite tavern. The real Moore changed his name to Dinty and founded a real-life restaurant chain. The restaurant owner, however, did not begin the successful line of canned goods that still exists today. When McManus died in 1954 the strip continued under a number of other artists. 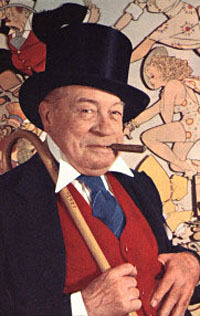 It was expected that McManus' longtime assistant Zeke Zekley would take over the strip, but instead King Features Syndicate replaced McManus with Vernon Greene. Hal Campagna replaced Greene upon Greene's death in 1965 and Frank Johnson replaced Campagna in 1980.